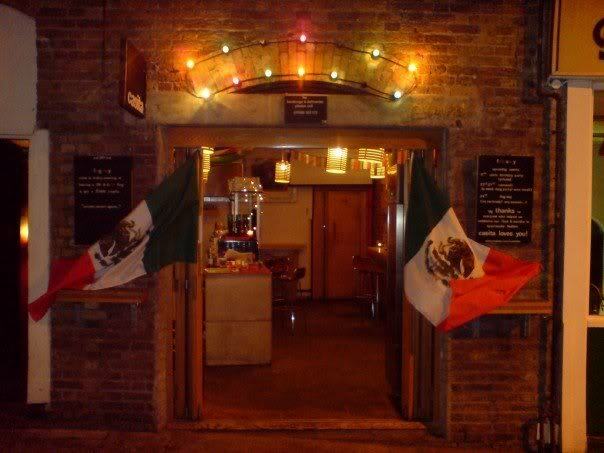 Casita, Shoreditch - Casita is a teeny tiny Mexican bar, tucked away in the back streets of Shoreditch on Ravey Street near the Book Club. It's just one room (a fair amount of which is taken up by the bar) so most people spill out onto the street. They have a cocktail menu including the Casita G&T which contains neither gin nor tonic - instead it has ginseng and tequila! There is a fun and friendly atmosphere, with customers suddenly becoming bartenders and everyone being treated like a regular - Liverpool Street seemed a million miles away. I rushed off to something else, but I have no doubt that Casita is an awesome place to spend an evening. The Team List point goes to flatmate Maggie this time around. 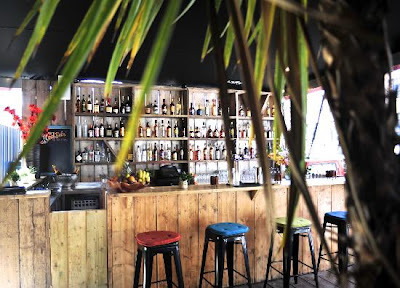 Cotton's Rhum Shack, Box Park Shoreditch - Cotton's is a very lively Carribean bar and kitchen, hidden on top of Box Park near Shoreditch High Street Overground. 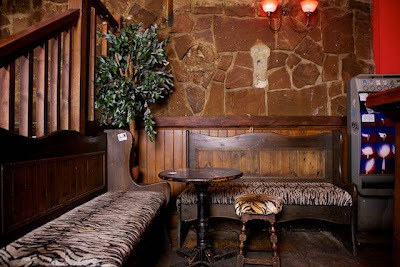 Walk past the more standard looking bar, down a corridor and you reach the covered but open air rum haven, overlooking Bethnal Green Road. My visit was again brief, popping in for a quick drink to say farewell to Team List regular Harriet who is moving to Vienna, but it was very lively whilst I was there. The food menu is enticing, and with 250 rums behind the bar, you can't really go wrong. Head there for happy hour which, I believe, runs from 5-8 every day. 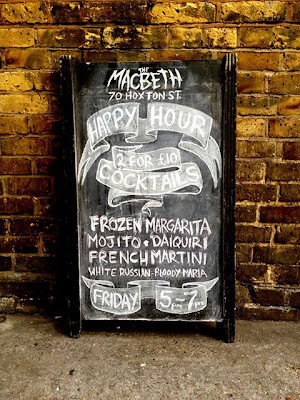 Wednesday 24th July - The end of the evening was already planned with an intimate (squashed) Snarky Puppy gig at the Macbeth in Hoxton, so I met Cassie early for some drinks and food. 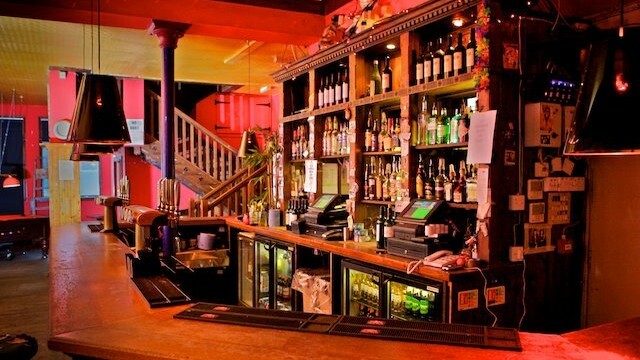 We started at Beagle which is right next to Hoxton station, underneath the railway arches. I first came across Beagle with List Leader Natalie at Feast all the way back in March before they had opened, where we tasted some delicious buttermilk fried rabbit. It is still on my list to visit for food, but this time around we just had a drink. Beagle has separate archways for the restaurant and the bar, similar to Ev near Waterloo which is one of my favourite spots in London. I grabbed a pint of Pale Ale from the new Redwell brewery, and headed back out to the pleasant front garden. 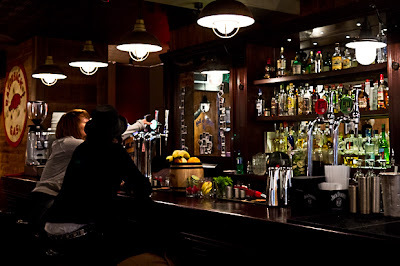 The local draught beer selection is excellent, and the cocktail list is refreshingly original. They also open bright and early with a tiny coffee shop at 7am, making use of beans from Hackney locals, Climpsons and Sons. We moved on, and popped our heads in to the Red Lion pub to check out their roof terrace. It's a lovely little spot, just far enough away from the Hoxton Square crowd. Well worth a look, especially for £2.90 pints on Mondays! We were in need of some speedy grub before Snarky Puppy, so we wandered over to Hoxton Square to survey the options. I was tempted by another trip to the wonderful Meat Mission (read more here), we decided to try out Red Dog Saloon since it was on The List. Red Dog Saloon is an "Authentic American BBQ", housed in an attractive and well placed space on the corner Hoxton Square. We sat at the bar as there weren't any tables free, but it's arguably the best place to sit anyway as you always get great service from barstaff. We quickly munched our way through some tasty pulled pork buns with Magaritas and Schooners of Samuel Adams on the side. The award winning hickory smoked ribs also looked wonderful as they went past. For the brave and hungry, there is The Devastator Challenge - three 6oz patties, 200g pulled pork, 6 rashers of Applewood Smoked bacon, and 6 slices of American cheese in a bun with all the trimmings, plus coleslaw, chips and a milkshake on the side, all of which needs to be devoured in 10 minutes. Anyone managed that yet? The service was noticeably better than most other places I have been, which is impressive as it is always busy there. 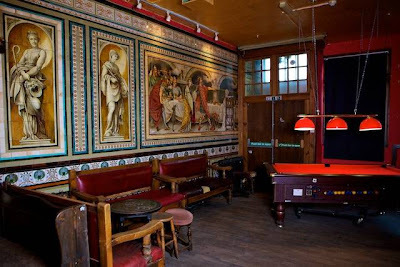 Full up, we moved on to our last stop - the quirky pub / gig venue The Macbeth on Hoxton Street to see Snarky Puppy, who I mentioned in my previous Notting Hill post. 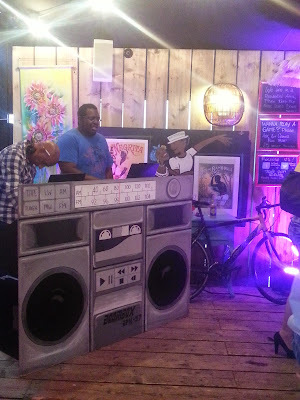 It was absolutely rammed so we settled in for a sweaty evening - I recommend grabbing a place at the back end of the bar where you can see everything, and get served quickly, though be prepared to take some drinks orders for people you don't know! 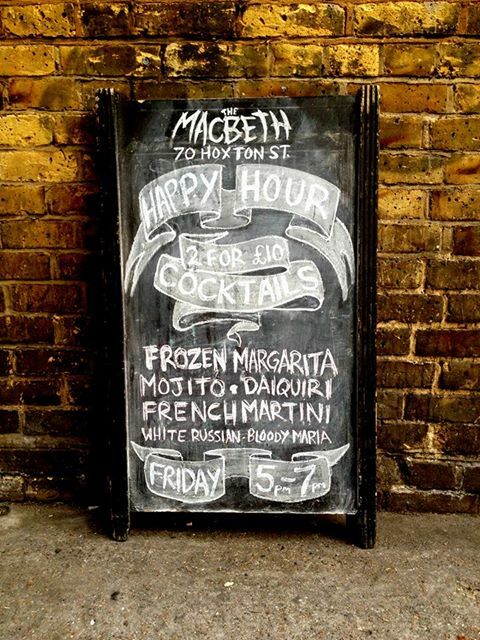 The drinks are fairly standard, though there are frozen magaritas on offer. The decor and layout are pretty nutty - halfway up the stairs is another good vantage point! Most importantly, the sound quality and atmosphere are top notch, and as a result The Macbeth constantly attracts popular bands across all genres who want to give their fans a close-up, authentic live music experience. Keep an eye on what's on and try it out! Cassie gets 3 more List points for our Hoxton jaunt, whilst Maggie and Harriet pick up the other points mentioned above. I'll leave you once again in the capable hands of Snarky Puppy - enjoy!